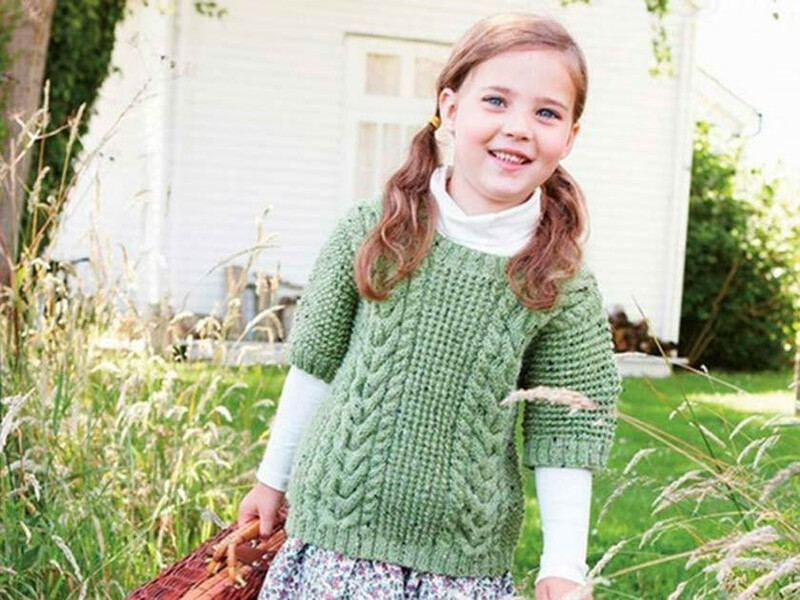 When it comes to knitting patterns for girls, there are so many to choose from. To help point you in the right direction, we've dug out our favourites including cute cardigans, a delightful bolero adorned with sequins and a lace-look scarf. If we've inspired you to get creative with your needles and yarn, click on the name of the knitting pattern you'd like to purchase. You will be given the option to print the knitting pattern yourself at home or have it posted out to you. She’ll love wearing this sparkly bolero for special occasions! It’s the perfect complement to any party dress. Simple to make, this dainty lace top with decorative embroidery will be adored by any little girl. Channelling a subtle nod to on-trend nautical styling with its lace and bobble pattern, this is a sweater that's just perfect for family trips to the seaside. Knit this lace-look scarf in the favourite colour of a special little girl in your life and she'll be reluctant to take it off during the colder months. Add an element of fun to this sweet striped cardigan with bright buttons. By choosing a lightweight yarn, it'll be an ideal garment to layer over pretty summer dresses. Aran jumpers will never go out of style - and that's why we're such big fans of this classic version featuring cropped sleeves and a round neck.